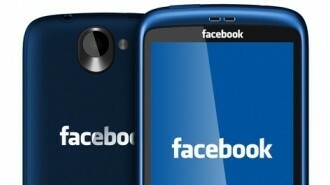 Facebook and HTC are reportedly working on a second mid-range social-inspired smartphone tentatively known as the Myst. The gang at Unwired View recently received a specifications list for the device from a previously reliable source and was kind enough to share them with the rest of the world. As the publication points out, earlier rumors pegged the Myst as carrying a dual-core MSM8930 Snapdragon CPU but the chip has since been upgraded to a dual-core 1.5GHz MSM8960 SoC. Other hardware specs include 1GB of memory and 16GB of flash storage. Sorry, there’s no built-in microSD expansion slot so you’ll have to get by with the space provided. The phone will feature a 4.3-inch, 720p display with a pixel density of 320PPI, a 5-megapixel rear camera and a 1.6-megapixel front-facing lens. Elsewhere is Bluetooth 4.0 connectivity, 802.11 a/b/g/n Wi-Fi, LTE connectivity and category 14 HSDPA. Despite the bevy of specifications that have been leaked, we have no idea what price point HTC / Facebook are shooting for with the Myst. Given the specifications, however, somewhere in the $100 to $150 range on a two-year contract sounds about right but that’s pure speculation on my part so don’t take it as fact. The handset is rumored to ship sometime this spring running Android Jelly Bean 4.1.2 and a full complement of Facebook software including the Facebook app, Facebook Messenger and Instagram, just to name a few.